To help develop children's sense of identity, we have a school uniform. This comprises a sweatshirt, cardigan or jumper in royal blue (the school's colour), a white blouse or polo shirt and grey/black skirt or trousers. Cotton dresses in blue/white stripe or check are acceptable. Shorts, top and gym shoes are required for P.E. A swimming costume, towel and swimming cap (for shoulder length hair) are required for swimming. Sensible school shoes are required. Fashion footwear, particularly with any heel is not at all suitable. 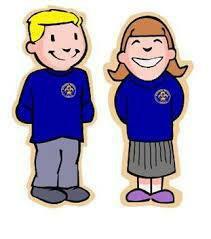 Uniform is available to buy online from Price and Buckland. To get to the website, please click on the hyperlink at the bottom of the page. Name tags can be ordered from http://www.mynametags.com and if you use the School ID: 36171 then money will be raised for the school. The School Office is open every day from 8.50am to 4.00pm.